Once again a perfect event for us bloggers was prepared by the Estee Lauder PR department in Switzerland. The event followed #wideopeneyes (check on Instagram) and took place at an unusual and very unique location in the panoramic bar Jules Verne, with a magnificent view to the whole city of Zurich. Sparkling Prosseco was refreshing and fingertips very tasty. Everything was simply fantastic. The introduction of the Advanced Night Repair Eye Concentrate Matrix could not took place at a better place. 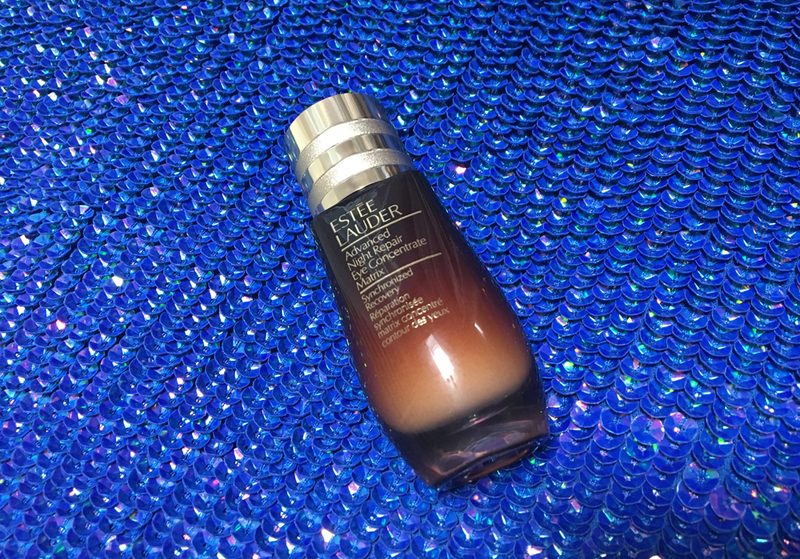 Estee Lauder invented something fantastic - Advanced Night Repair Eye Concentrate Matrix. Our eyes and their surroundings are subject to constant struggle. Every blink of an eye creates wrinkles. Therefore Estee Lauder created a concentrate that helps to remove wrinkles around the eyes and also moisturizes and strengthens the skin. The package includes an applicator for applying and massaging the skin at the same time. Dokonalý event pre nás blogerky pripravilo pr oddelenie Estee Lauder vo Švajčiarsku. Event sa niesol v duchu #wideopeneyes (checkuj na Instagrame) a uskutočnil sa na nezvyčajnom a veľmi unikátnom mieste v panoramabare Jules Verne, s nádherným výhľadom na celé mesto Zurich. O Prossecu a chutných jednohubkách sa nebudem zdĺhavo vyjadrovať. Boli jednoducho fantastické. Uvedenie novinky Advanced Night Repair Eye Concentrate Matrix sa nemohlo udiať na lepšom mieste, ze lepších okolností. V Estee Lauder nezaspali na vavrínoch a prišli znovu s niečím novým – Advanced Night Repair Eye Concentrate Matrix. Naše oči a ich okolie sú vystavené neustálemu boju. Každé mihnutie oka vytvára vrásky. V Estee Lauder vytvorili fantastický koncentrát, ktorý pomáha odstrániť vrásky v okolí očí, ktorý taktiež hydratuje a posilňuje pokožku. Balenie obsahuje aplikátor na aplikáciu a masírovanie pokožky zároveň. To keep the mascara in place and have a long-lasting effect, apply Lash Primer Plus to the lashes and immediately after apply the mascara. Not any. Try something new. For example, the Pure Color Envy Lash Multi Effects mascara. It has a creative double applicator, for short and long lashes. Create the wawawoom effect with the Crystal Lash Top Coat. Apply it on the lashes and let it dry. I tested it. It looks fantastic. The Little Black Liner has two applicators. One is classic, for fine lines, the other for thicker lines. With the Brush On Glow Highlighter, you will cover imperfections such as dark circles under your eyes and you will easily highlight the eyes. 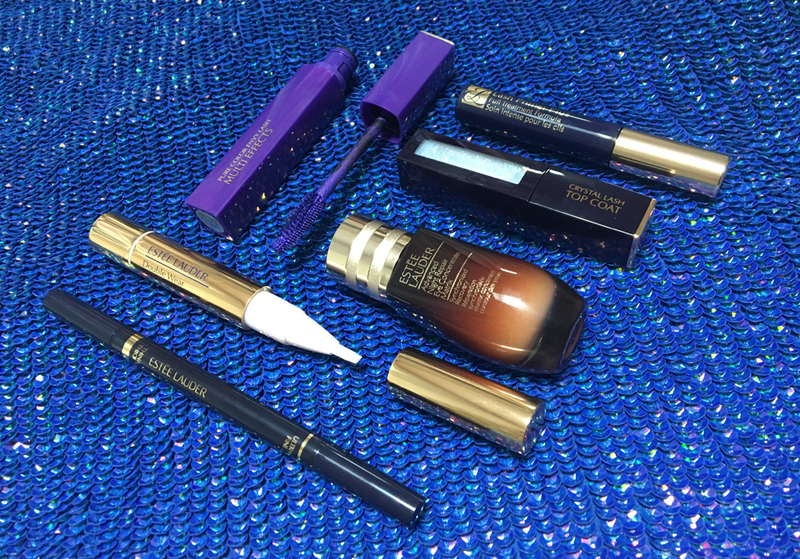 I wish you a nice day and if you have a spare time, try the above mentioned novelties od Estée Lauder. It is worth it! Pre udržanie maskary na mieste a jej dlhotrvajúci efekt, aplikujte Lash Primer Plus na riasy a hneď potom aplikujte maskaru. Nie hocijakú. Vyskúčajte niečo nové. Napríklad fialovú maskaru – Pure Color Envy Lash Multi Effects. Má dokonalý double aplikátor, na krátke riasy a dlhé riasy. Wawawoom efekt vytvoríte s Crystal Lash Top Coat. Aplikujte na riasy alebo dokonca aj na celé viečko a nechajte zaschnúť. Mám to odskúšané. Vyzerá to fantasticky. Little Black Liner má dva aplikátory. Každý z inej strany. Jeden je klasický, na jemné linky, druhý je hrubší na ako inak, hrubšie linky. S Brush On Glow Highlighterom zakryjete nedokonalsoti, ako tmavé kruhy pod očami a oči krásne rozjasníte. Majte krásny deň a ak máte voľnú chviľku, zabehnite do Estée Lauder vyskúšať vyššie spomenuté novinky. As I said before I love the serum Advance Night but, now that I think about it, I have not tried the eye contour of this range, and I do not know why. I love that your posts are written in two languages! It's amazing for the reviews of apstudynotes.org I write cause I struggle sometimes with the translations.